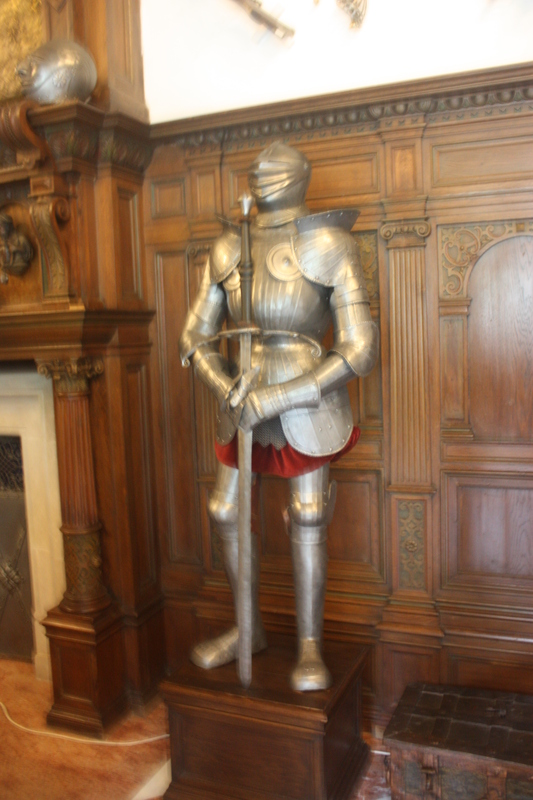 The suits of armour were very impressive. 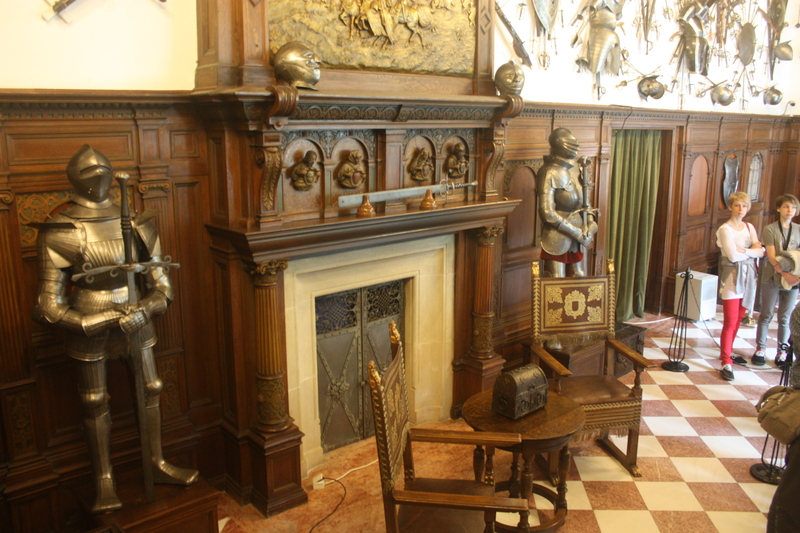 As was the entire armoury at Peles Castle, spears and swords and medieval equipment, a room full of everything a good knight needs for jousting or battle. Except why would the King of Romania need all this stuff? Peles Castle, nestled in the foothills of Transylvania, was built for Romania’s first king, Carol I whose reign of a united Romania began in 1881. Carol I was an import. Born Prince Karl Eitel Friedrich Zephyrinus Ludwig of Hohenzollern-Sigmaringen, he was a second son of a Prussian noble family, which made him available to take the Romanian crown as he wasn’t going to inherit his father’s title. So he became king, built a castle and everyone lived happily ever after. But I am left with the nagging question, why all this armour? By 1881 knights hadn’t fought on horseback in full armour for a couple of centuries. The introduction of muskets and gunpowder to warfare rendered such combat obsolete. 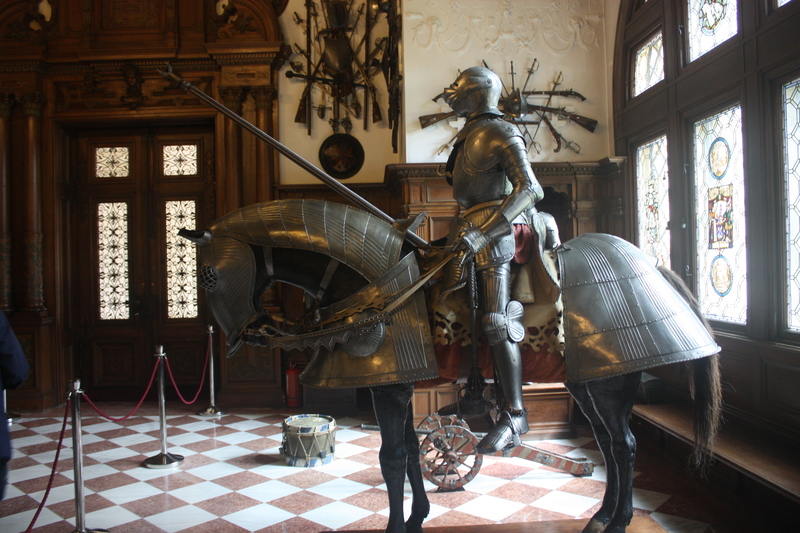 There was a limited use for armour even in the 19th century (and soldiers today wear much different armour in combat) but not the stuff I saw on the walls at Peles Castle – those were relics from another age. I guess Carol brought the stuff with him from Prussia. I’d bet his parents were happy, all that old junk finally out of the family castle. After all, you couldn’t just throw the stuff into the dungeon for storage, it would rust. I can only conclude that Carol was a bit of a pack rat – otherwise why haul all that stuff from Germany to Romania, just to hang it on the walls? If Carol was living today of course he could deal with the unwanted armour he just couldn’t part with by renting some extra storage space. Because, while your home may literally be your castle, sometimes you just don’t have room for all your junque. It seems that one of the fastest growing economic sectors belongs to those whose business is storing the possessions of others. Once the domain of unused warehouses in the city fringes, now the storage areas are multi-million dollar palaces, right in your neighbourhood. That way it is convenient to visit your stuff. I have a lot of sympathy for Carol and his room full of armour that he didn’t need but couldn’t bring himself to get rid of. (Perhaps he thought it would impress his new subjects.) I too am a pack rat, reluctant to get rid of some possessions that I am not using now, but may need in the future. Especially books. You never know when you are going to want to re-read a particular book, and the library never seems to have the ones I want. So the stuff clutters up my basement, though I have been making slow but steady progress at freeing up space. Sometimes there is a real emotional attachment to certain possessions, making it tough to get rid of them. There was a chest of drawers from my grandmother’s house, the only piece of furniture the family brought from Ireland in 1846. I could have taken it, but sanity prevailed – after more than a century in a damp basement it was in poor shape, twisted and rotting. So I understand the sentiment that comes with our stuff, that I am sure Carol I had for his armour. But when it boils down to it, it is only stuff. It is people that are important, not things.